One strong feature of the HTC Sense UI found on its Android devices is it proprietary people app. To get it working the way it is meant to you link your contacts with their social network profiles. Basically, Grace Kelly in my Phone is the same person as Princess Grace on Facebook and is Gracelyn Kelly on LinkedIn and @Gracie in Twitter. HTC Sense will suggest to you relevant links, and when it does not find a connection, you can link the account manually. 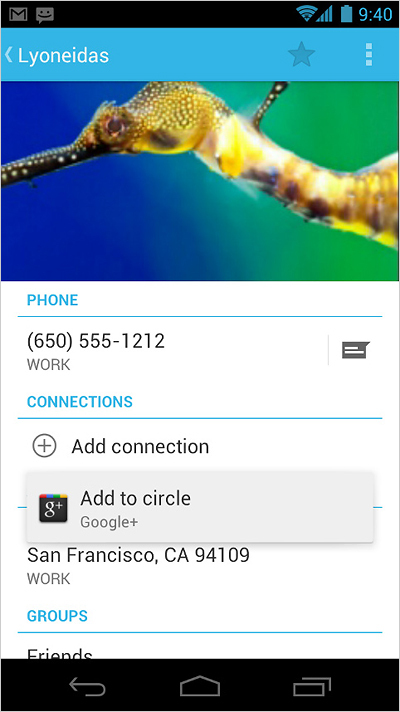 Your contacts can also be segregated into groups. The end result is aggregating all of a persons calls, messages and social networking post in one place, and being able to segregate people into different groups and in this way better be able to filter through the growing amount of information getting thrown our way. As great as this system is, well, HTC builds a UI over Android, and having it baked into the operating system takes the experience to a whole new level. HTC's implementation is great at collecting and filtering information, but because of limitations to what a user interface could do, replying to post and messages still had to be done in separate apps. Windows Phone 7 implementation allows to pretty much do everything from the People Hub. I want to get a first hand look before saying anything more. Notably though, if you are a Google+ user, neither HTC's People app or Windows Phone 7 people Hub integrate Google+ yet. iOS 5 started heading in this same direction, with integration being limited to Twitter at this point. I suspect we will be seeing People go to iOS with iOS 6. Well, they are not called smarthpones for nothing.